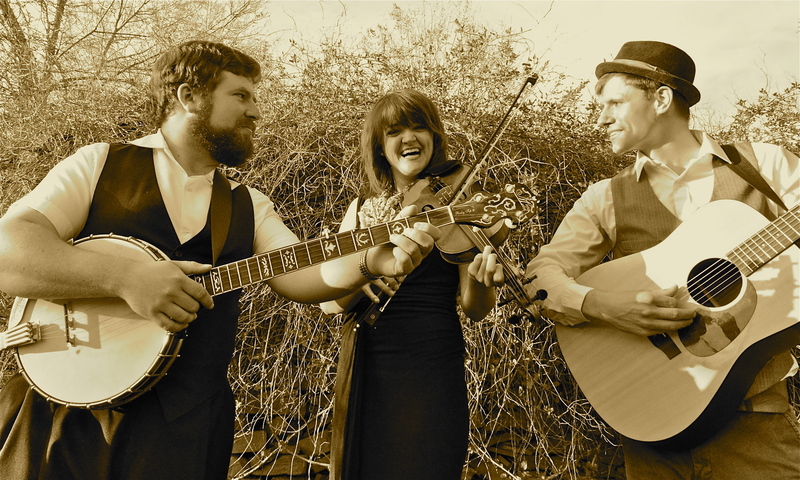 We are a trio of musicians that came together in Lyons, Colorado because of a mutual enthusiasm for old-time string music. We love our tunes, songs, murder ballads. When we got together we finally had our glimpse of the Appalachian music we’ve grown up with, lived around, or recently discovered, and immediately wanted to share it with the Front Range. You just don’t hear this kind of music where we are, and it’s a shame, really. Colorado can have good old-time music. Is our goal to make it big as a trio, tour the world, and become forever renowned musicians? Not particularly. Mostly we just want to play. Get people excited for the music we care so very much about. Get people dancing, moving, shaking to the unmistakable rhythm and life of traditional music played by three young aficionados. Mostly we want to prove that this side of the country can produce GOOD stringband music that holds true to tradition, but is alive and new with fresh energy. We love Appalachia, most of us are from there. For some reason or another, the three of us are out here, and that doesn’t mean we have to sacrifice our music. If you see us, we want you to be dancing. We want you to get excited.